Hi, hope that you are all well by the grace of almighty, me also fine. Today in this post we’ll see the file and folder permission basic. Actually in the Linux Operating system this is a good facility. You can just give file folder persimmion in the Linux file folder. 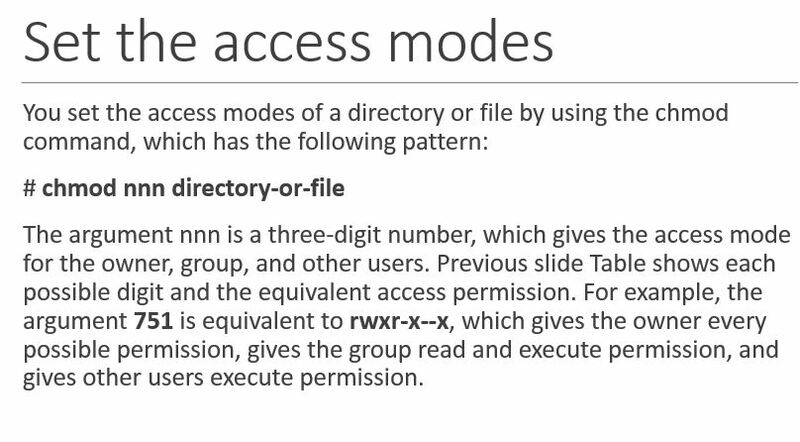 You can give the three types of permission of a file, which is read, write and execute. Generally the admin, that is super user get the three types (read, write, execute) of permission. But other user generally can’t get that all three types of permission. The permission can be set using numerical values. 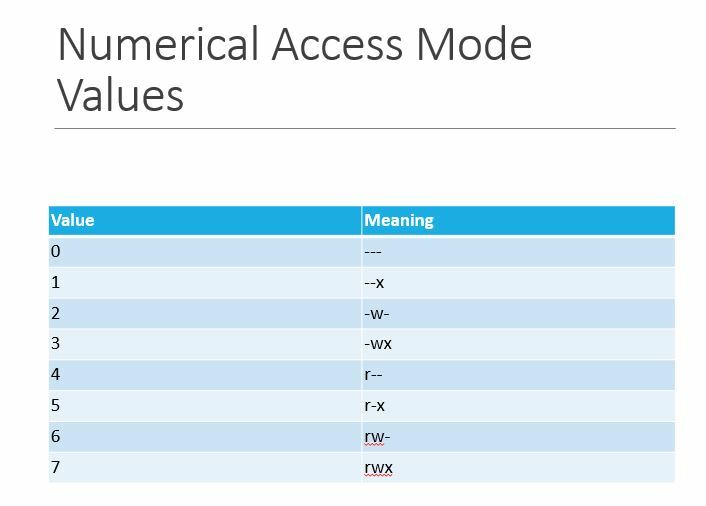 You can use the numerical valies from 0 to 7. As shown in the picture, you can use that numerical values for file and folder permission. From the picture, we can say that the value 0 indicates no permission. The value 1 indicates only execute permission of a file. Value 2 indicate only write permission. Value 3 indicates write and execute permission. Please be careful that, if you want to change file and folder permission type, then you must be a admin or super user. 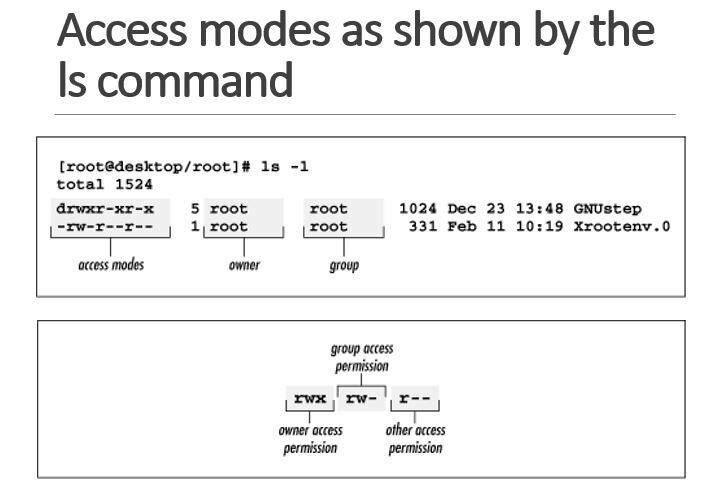 You can enter the super user mode by typing the command su root. In this case I can share my experience. When i started learning Linux. iwas trying to change the file folder permission type of linux. But i didn’t log in as super user. So after applying all the steps carefully, i can’t do that. When i contact with my instructor, he told me to log in as super user. When I log in as super user, then i can easily change the permission of file folder using the steps properly.